I think it’s safe to say that here in England the weather is cold. Very cold. 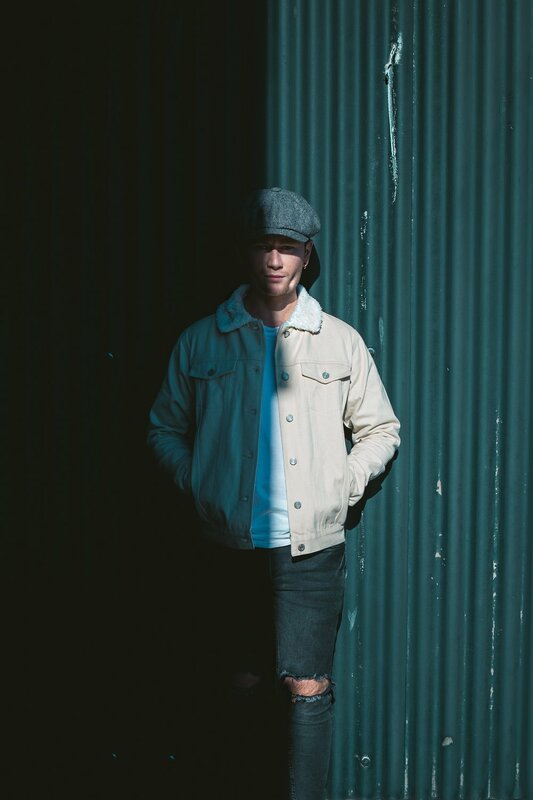 I came across this denim jacket in a creamy/white colour with a Shearling lined collar and I went for this as I liked how casual it was but the added touch of the collar gave it that little extra something! For the jeans I went for a dark grey with some simple rips at the knees which given this weather wasn’t exactly the smartest idea, however, they are incredibly comfortable to wear and look great in being able to dress things up, and dress things down! For this lookbook, I revisited an old location which had a strong, urban vibe which I felt best suited this particular look. 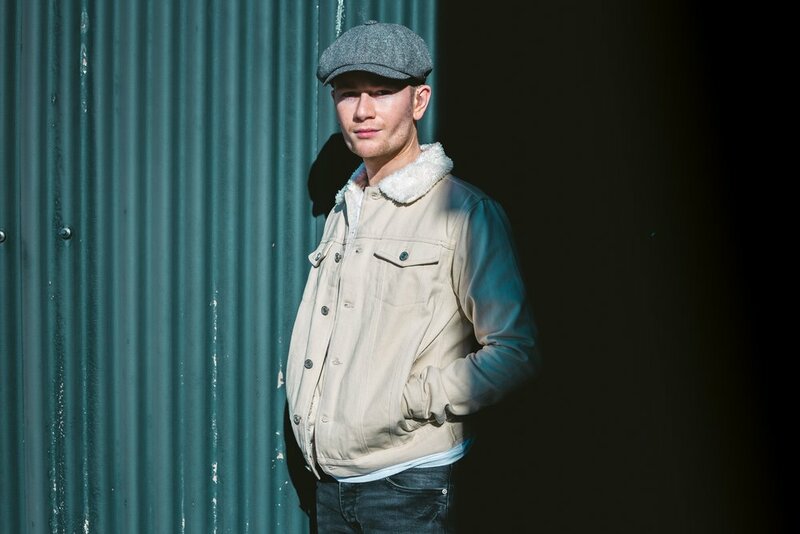 I met up with my trusty photographer, Matt McCormick who has helped create many of my lookbooks and once again I am extremely pleased with the results! I hope you all enjoy this lookbook as much as we did creating it! What do you think to the jacket and jeans that I selected? Are you a fan of the images? Have you shopped with boohooMAN before? If so, what did you purchase? Let me know your thoughts below as I would love to hear from you and don’t forget to click the ‘like’ button! Also, with it being Black Friday today, the items chosen both have deals on them with over 30% off! So, what are you waiting for? 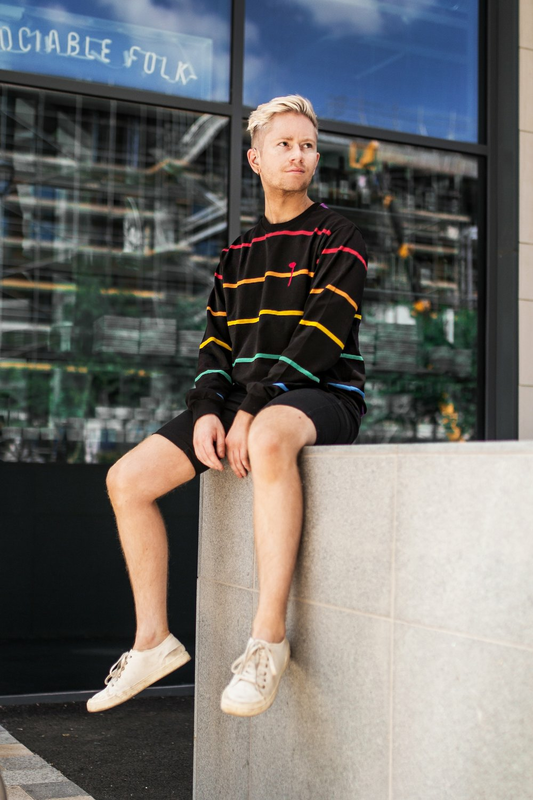 With Pride Season well and truly upon us, it was an absolute pleasure to have been approached by boohooMAN to showcase a few pieces from their Pride Collection! Having been to Gay Pride in Leeds a couple of years ago, I remember the whole experience of it all to be nothing but just pure fun! In 2018 it is important, and always will be to celebrate Pride and to make our voices be heard. For this shoot, I selected their 'Love Is Important' t-shirt, their 'Pride Printed' sweater, and to complete the look, their 'Love Is Love' cap! 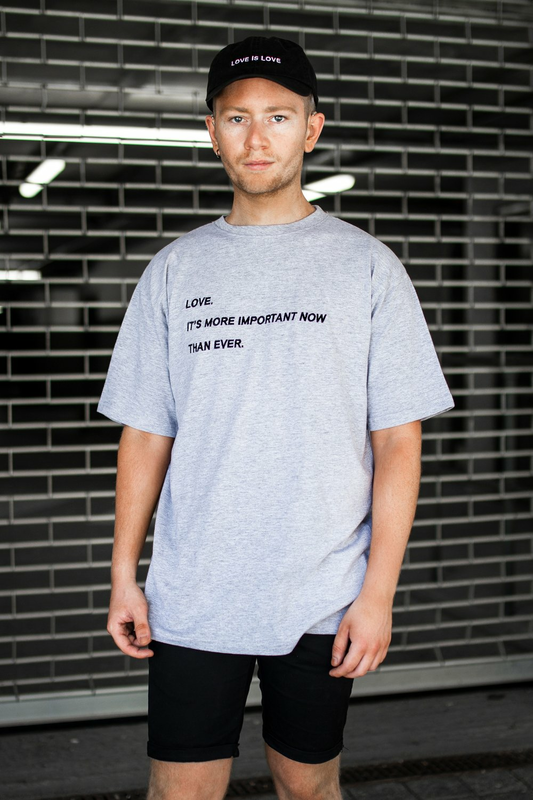 All items are gender-free and 10% of the profits will be divided between the Terrence Higgins Trust and The Rainbow Fund. I met up with the photographer; Milly, for the first time and I wanted to go to a location that was minimal and fuss-free so to speak to allow the clothes to speak for themselves. I am beyond happy with these photographs, and I really hope you all like these images too! Do let me know your thoughts below as I would love to hear from you, and don't forget to click the 'like' button below! I've recently been hitting the gym for the past couple of months, and whilst I am only noticing a progress now, it is true what they say: 'Slow progress is better than no progress.' Am I right? Anyway! boohooMAN approached me to shoot a lookbook and gave me the following options; Festival, Holiday, and Activewear. Normally I would opt for something classic like a holiday look, but felt that Activewear is more apt for where I am right now in life! I chose a skinny fit tracksuit, along with the sweater with the boohooMAN print, teamed up with some skinny fit biker joggers. 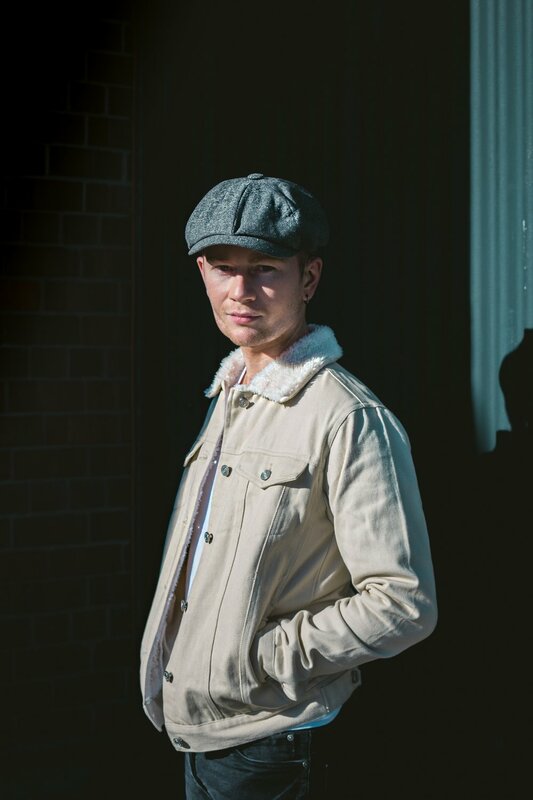 I met up with the incredible Matt McCormick and I knew that I wanted an 'urban' feel to the photographs, so we found an abandoned area within the heart of Leeds and I am beyond ecstatic with the results! I hope you guys are too, and it would be great to know what you all think? 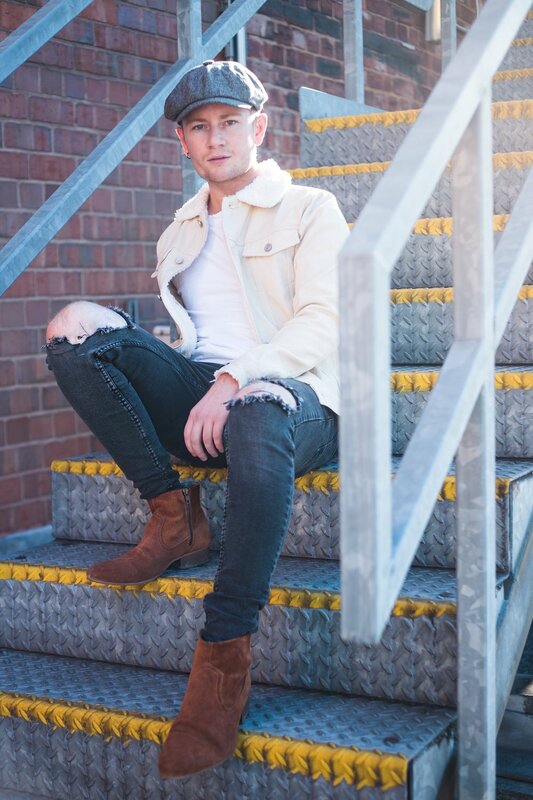 Also, be sure to check out my other shoot with boohooMAN from last Christmas here! 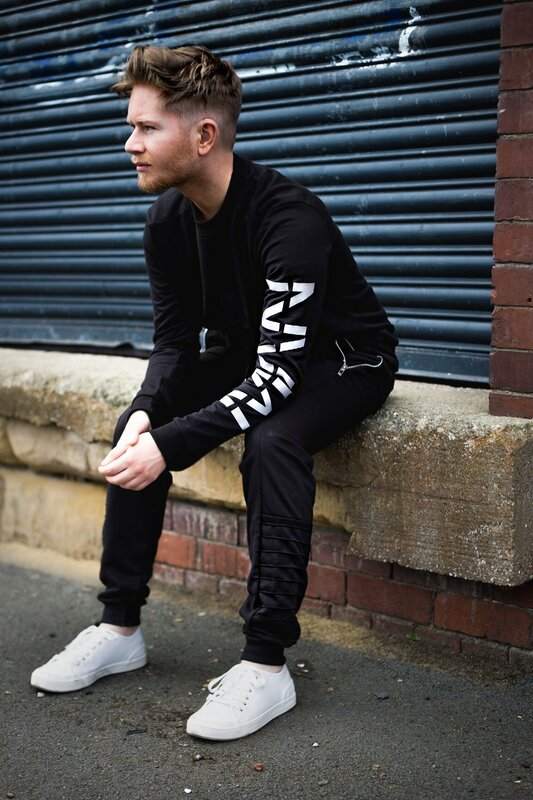 Have you shopped from boohooMAN before? If so, what did you buy? Do you like the clothing that I picked for this look? Which is your favourite piece? Do let me know your feedback, as I would love to hear from you and don't forget to click that 'like' button below! Ahead of National Christmas Jumper Day this upcoming Friday 16th December, I had recently been contacted by boohooMAN to bring you a fun little quiz! When it comes to Christmas Jumpers, I tend to steer towards the 'tongue in cheek' or the 'in your face, garish' Christmas jumpers as let's face it, Christmas only comes around once a year, and it's the perfect excuse to have some fun! Having taken the quiz myself, I ended up with the 'Cheeky' category, which is ironic considering the jumper I had chosen from their website, which I might add is only £12! An absolute bargain! I chose the 'Candy Cane Christmas Jumper' and took along my friend Amy with me for a fun little Street Style shoot! We stumbled across some faded red billboards, which I felt would be a perfect backdrop for the shoot. Thank you to boohooMAN for giving me this opportunity, and for providing me with a fun quiz! Also, thank you to Amy for taking these photographs, I love them! What Christmas Jumper are you? Do you agree with your category? What do you think to the photographs? Did you like my choice of jumper? Let me know your answers and thoughts down below, as I would love to hear from you! Also, don't forget to hit the like button!